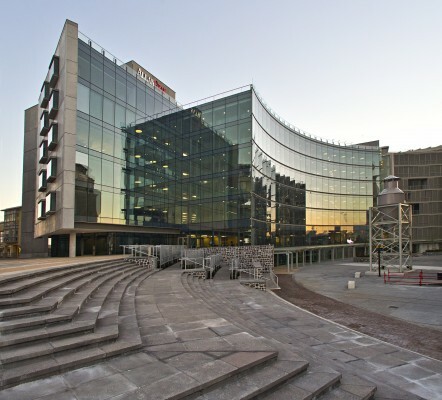 Government is taking the lead when it comes to green building and sustainable development, as illustrated by the Department of Environmental Affairs’ new head office – a 6 Green Star SA Office Design rated building in Pretoria. As the biggest owner of property in the country and one of the biggest occupiers of office buildings, the government is a key stakeholder. It can play a crucial role in, not only driving the development of green buildings within its own portfolio, but incentivising the private sector by occupying office buildings that are green rated. This is the opinion of Brian Wilkinson, CEO of the Green Building Council of SA (GBCSA). 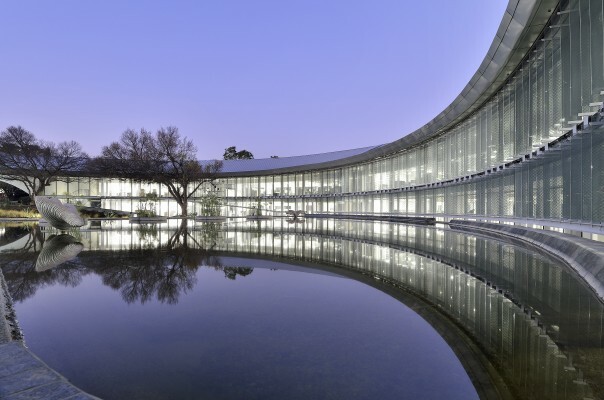 Wilkinson applauded government for showing green leadership with new Department of Environmental Affairs (DEA) head office building, saying it represents a milestone and significant step in green leadership in South Africa. 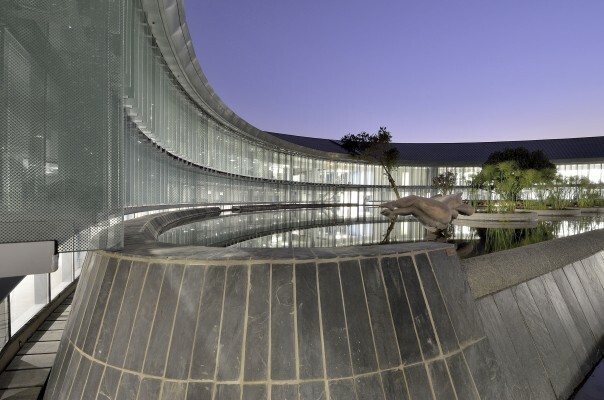 The GBCSA certified the new R653 million DEA head office building with a 6-Star Green Star SA Office V1 Design rating last year, which is the highest achievement ever for a government office accommodation project of this magnitude in SA. The GBCSA also recognised the efforts of the government in this project with a Green Star Leadership Award. “The green building movement addresses what are becoming the major issues of our time: excess energy consumption and the related CO2 emissions from burning carbon fuels; the pollution of air, water and land; the depletion of natural resources; and the disposal of waste. A wealth of local and international research makes the unarguable case for green building: not only do they contribute to environmental sustainability, health and productivity, green buildings are cost-efficient to operate,” says Wilkinson. 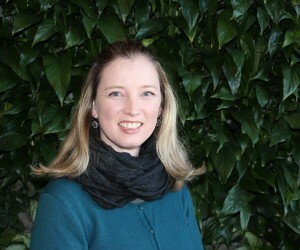 Looking at the importance of moving toward environmentally conscious building practice, Jenni Lombard, Technical Manager at the GBCSA, says green building incorporates design, construction and operational practices that significantly reduce or eliminate the negative impact of development on the environment and people. Green buildings are energy efficient, resource efficient and environmentally responsible. 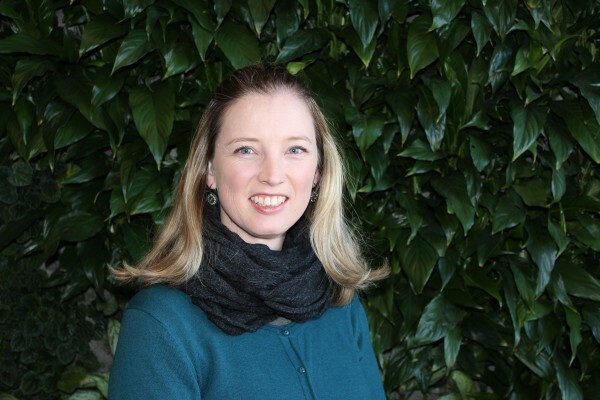 “Establishing a common language and best practice standard of measurement for green buildings through the development of Green Star SA rating tools allows us to objectively assess just how green a building is. Rating systems provide a menu of green measures that can be used in the design, construction and management of a building to make it more sustainable,” she says. According to Lombard buildings are one of the main contributors to climate change. Building green is an opportunity to use resources efficiently and address climate change while creating healthier and more productive environments for people and communities. The built environment also plays big part in the energy consumed (40%), the fresh water consumption (12%) and the solid waste (40%) generated. Taking cognisance of how we design, construct and operate our buildings we can reduce the negative impact we have on our environment. “On the positive side, the GBCSA recently celebrated reaching 100 Green Star certified projects. Given the sustainable, green implementations in these building projects, their positive impacts are far reaching. The 100 Green Star certified projects achieve the combined annual savings of 131 million kilowatt hours of electricity – the equivalent of powering 9 130 households for a year. This takes massive pressure off South Africa’s struggling power grid. “The 100 certifications also saved a total of 176 million kilograms of carbon emissions – the same as taking 44 096 cars off the roads, or 5 000 full Boeing 747 flights travelling from Johannesburg to Cape Town. Plus, they save 171 million litres of drinking water, which equates to the daily water requirements for nearly 86-million people for one day,” Lombard told Opportunty magazine. All these savings also have a meaningful impact to the bottom lines of the businesses that own and occupy these green buildings. In addition to creating more sustainable and productive environments, the financial incentives of operating green buildings are also being realised, particularly in the face of South Africa’s water scarcity and increasing energy costs. However, building green does not come without its challenges, as Lombard explains that government processes are slower and take more time than private sector processes, but when a decision is made it can have big impact on the market or sector. “Private sector is more flexible and seems to be leading the market with some property developers and property owners applying a green mandate to their businesses with visible returns on their investments. 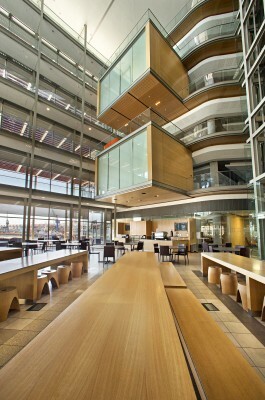 Growthpoint, for example, owns or co-owns the largest portfolio of green buildings of any company in South Africa. It co-sponsored the GBCSA’s Energy and Water Benchmarking Tool and is taking part in the pilot programmes for the Green Star SA Existing Building Performance Tool and the Socio-Economic Category. It has also partnered with GBCSA for the Greenovate Awards pilot which encourages students of the built environment to find ways to live more sustainably and helps link environmental challenges to innovative thinking. Nedbank is another example of a company that has partnered with the GBCSA from the outset on their green building journey,” she says. Asked whether South Africa has an advantage when looking at going green, compared to the rest of the world, Lombard says South Africa is in a unique position when considering the greening of built environment. The current energy crisis give consumers and property owners a push to explore alternative energy solutions and puts their consumption at the forefront of many discussions. “We are being ‘forced’ to look at how we use energy at our homes and our work environments, and all of this can be in favour of a green agenda if managed with an environmental focus. According to Wilkinson: “We all know that with the increased dependency on the peaking plants to handle the pressures on the grid, ESKOM’s cost of generation has skyrocketed. The minister’s indication is, we believe, a clear sign that we will shortly see a very significant increase in the cost of electricity. This is really bad news for both business and ordinary South Africans. “It is also an opportunity to do good. One of the coolest things about the whole Green Building Movement is the aspect of doing well, by doing good. It’s such an opportune time – investment in off-grid or co-generation is really starting to take hold as such projects increase their commercial value in the face of the electricity crisis. The GBCSA itself is a tenant in a building that supplies 60% of its energy needs through photo-voltaic panels on the building’s roof. The owners had expected a four year payback (about 25% ROI), but with a steeply rising electricity tariff the payback period will probably reduce substantially,” says Wilkinson. Mentioning some noteworthy milestones in moving toward green building practices in South Africa, Lombard says the GBCSA was founded in 2007 and, in that year, only certified one green building project. In April last year the GBCSA celebrated having reached the milestone of 50 certified projects and today, one year later, it celebrate having doubled that amount. This is a clear sign that green building has gained rapid momentum in South Africa. The Green Star certified projects have also demonstrated world-class, innovative implementations that benefit people, planet and profit. According to Lombard, on a provincial level, there are also positive steps being taken as with the development of 110% green by the Western Cape government. 110% Green aims to be a catalyst to build a critical mass of activity that puts the Western Cape well on the road to becoming Africa’s Green Economic Hub – a key economic goal of the Western Cape government. As to the future of green in a South African context, Lombard says their partners, associates and Green Star certified projects are already reaping the rewards of their green investments through lower operating costs, higher returns on their assets, minimised churn and increased productivity – all while doing their bit for the environment. “Green buildings have been proven to make sound economic sense. Results in the USA, Australia and now South Africa, clearly show that there is no significant difference between the cost of green buildings compared to conventional buildings and that green buildings show the potential to achieve better investment returns and higher valuations. As the market becomes more aware of the benefits, we expect more traction and positive future prospects,” she concludes.